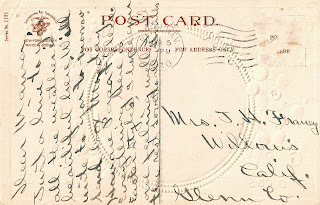 Vintage postcard back graphics are wonderful, and I use them all the time in my projects, especially when designing gift tags. They make great backgrounds! 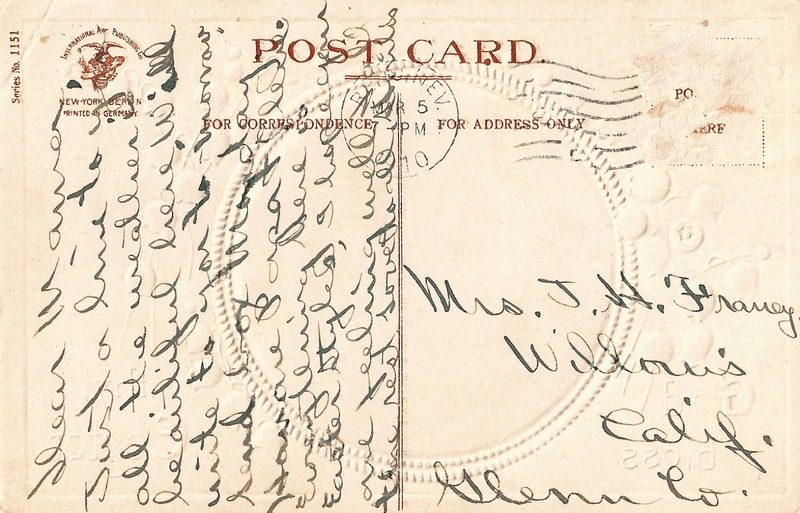 This is a vintage, 1910, postcard written with an ink pen in gorgeous handwriting. Enjoy!